I'm particularly happy that my wife Jamie was around for our discussion about Alex Garland's directorial debut Ex Machina. Jeff and I, as tried and true science-fiction fans, probably would have largely focused on the conflict between artificial intelligence and humanity or the stunning effects work used to bring Ava's robotic form to life. That's just where my mind gravitates, to the technological implications and the science of it all. But Jamie has a different mindset, and her focus on gender politics and identity issues not only elevates the discussion, but proves a vital aspect of the film's central themes, an aspect which I probably would have somewhat overlooked. It pays to marry an intellectual. 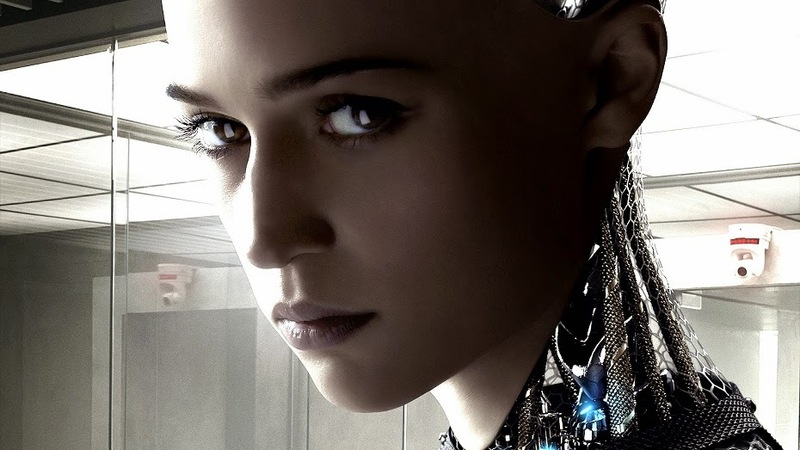 Ex Machina is a tremendous film, one which I'll admit has stayed with me in the days since we recorded this episode. I didn't walk out of the theater with that buzz of excitement that so often comes from viewing a truly special film. It just didn't hit me the way as something like Upstream Color or Her. But it's intellectually engaging in a way that so few films are anymore. There is A LOT going on in this movie, from am emotional, technological and philosophical perspective. In truth, we probably could have talked for another hour if the prospect of poutine and Game Of Thrones hadn't been heavy on the horizon. All that aside, the three central performances by Oscar Isaac, Domhnall Gleason and Alicia Vikander are each stunning in their own respect. Vikander's Ava possesses an otherworldly grace both physically and psychologically, which stands in stark contrast to Oscar Isaac's Nathan, a sort of coarse, hard-drinking, dude-bro Steve Jobs. Domhnall Gleason's Caleb is the nice guy caught between these two magnetic forces, and while his role isn't quite as compelling on the page - he spends a lot of time sitting in a glass box asking questions - the fact that he isn't completely overrun by Isaac and Vikander just goes to show the power of Gleason's strong screen presence. It's hard to describe aside from saying that the guy is just incredibly watchable. I can't wait to see how he and Isaac fit into the Star Wars universe. As always, be sure to subscribe on iTunes and/or SoundCloud. Next Week: I'm not sure! I suspect that Jackie Brown will come into play, and perhaps some of the offerings from this year's Independent Film Festival Boston.